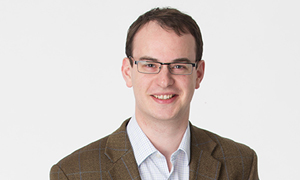 Having joined Hodkinson Consultancy in 2008 as a Graduate, Donald is now the Managing Director and works closely with the Chairman, Richard Hodkinson. Donald’s specific focus is on effective delivery of project work that meets and exceeds our clients’ expectations. He always seeks to ensure that our outputs meet the challenges set to us by our clients and combine insightful innovation with a practical deliverable approach. In addition to his management roles, Donald retains an active involvement in technical project delivery, particularly in relation to energy strategies and heat network delivery. With a passion for ensuring that we learn from previous experience, whatever the outcomes, he strongly believes that each project can be better than the one before it for developers, the residents and the environment.